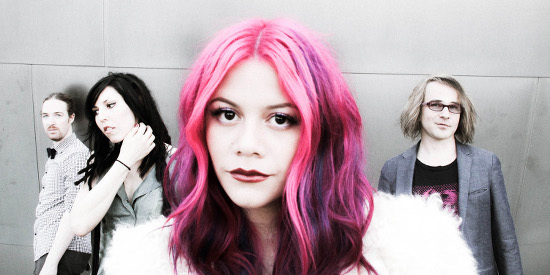 Los Angeles-based rock band Halo Circus is singer Allison Iraheta (American Idol Season 8 finalist and fan favorite), bassist/producer Matthew Hager (Duran Duran, Scott Weiland, Simply Red), drummer Veronica Bellino (Jeff Beck, DMC of Run-D.M.C.) and guitarist Brian Stead. Halo Circus boasts infectious bilingual alternative rock with unique, powerhouse vocals that shimmer on the band's forthcoming debut album, due out in 2016. Matthew: The father of Enrique and the inhabiter of cool. Anyone that could make women swoon like that and sing a duet with Willie Nelson is a friend of mine. Allison: She played at the very first concert I ever went to when I was little. I was mesmerized by her songs and accordion playing. Allison: The first time I heard them they sounded almost like a bilingual Beatles to me. They are an adventurous band. We could use more bands like this. Matthew: Being from Texas, it's hard not to think of Los Lobos as giants. Allison: This band introduced me to rock en español. They represented a big part of my youth and rebellious years. Allison: Because who didn't have a crush on Juanes? Also, there was never a song of his you couldn't relate to. Matthew: Two words: "Oh, Donna." Allison: I think she's a brave lyricist. Matthew: I was introduced to him because, being white, we all were. Crossover appeal aside, "Feliz Navidad" and "Chico and the Man" were great songs. Allison: The queen of rancheras. She sang with so much passion and emotion. She always sounded like she was on the verge of a breakdown, yet she sang like the most beautiful bird in the world. There's no one like her. 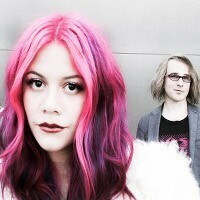 Allison Iraheta and Matthew Hager are the singer and bassist/producer of Halo Circus. The band has curated a night of multicultural music on December 15 in LA at the Troubadour called "Say it Loud! A Night of Cultural Disruption," which spotlights music influenced by Iraheta's childhood growing up in South Central. Halo Circus looks forward to sharing the stage with innovators David Garza, Project N-fidelikah (featuring Angelo Moore of Fishbone, George Lynch, and members of War), Heliotrope (featuring members of Ozomatli and War) and KC Porter's Cruzanderos. To purchase tickets, head here.